Children these days are more musically inclined compared to past generations. Perhaps, modern songs are easier to pick up that even a 2 year old can lip sync an artist. I remember when my youngest was 2 1/2 years old, he was able to follow the beat and some lyrics of a song sang by Bruno Mars. He was so into karaoke, be it on the television or youtube, so we recorded some of his stints. A time came when he was so fascinated over his older brother’s Casio keyboard and played with the chords every morning as if he was Bruno Mars in one of his videos, lol. So, when he turned 3 and still in love with playing the Casio, hubby and I decided to buy him a beginner’s keyboard, something that is suitable for kids his age but more like a toy piano. We were on a hunt for the best keyboards for some time, luckily, we found one in another city. 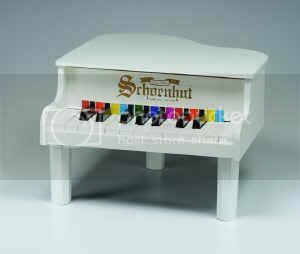 First and foremost, you will be buying this for a child who doesn’t know how to play one yet or is just playing the keys. So, don’t expect him to learn that fast, much less create a sound that will be music to your ears. Just think of it as an educational toy, which is actually considered as such. It must have at least 18 keys. Fewer will make them more restless. More than that will make them crazy and asks “which key did you say is “Do”? If you can get one that lights up in different colours. The purpose is for a kid to easily remember which colour is “Do, Re, Mi” etc. It must be both fun and educational. He’s enjoying the play while learning. There are tons of toy pianos in the market today. Make sure that you choose wisely with the thought of your kid enjoying while playing. Learning is one of the important stages in his formative years, so give him what he wants but let it be an education one. Win $200 Paypal Cash! Open Worldwide!